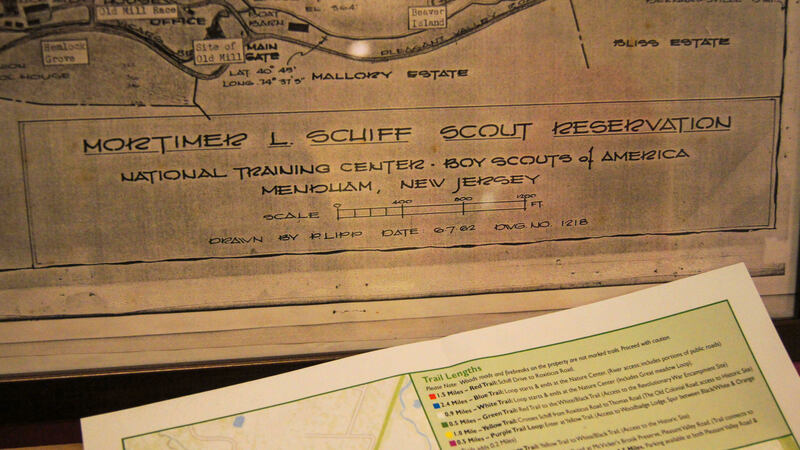 Scouters: Check out ideas for your 2019-20 program year from council committees and outside vendors. Click for the 10 Ten Reasons We Love the Tradeshow. Please email the flier to other Scouters and encourage them to attend. Walk-ins are always welcome but if you register in advance, checking in at the Tradeshow will be a breeze. 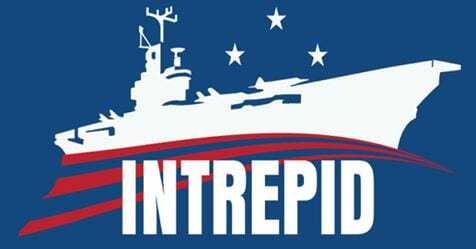 Pre-registration allows you access to more door prize tickets and a pre-printed name tag. Register in advance to attend and you’ll receive extra door prize tickets! Check back later for the attendee registration link. This event is free to attendees! Unit leaders, committee members, unit youth leaders and others involved in Scouting should attend. 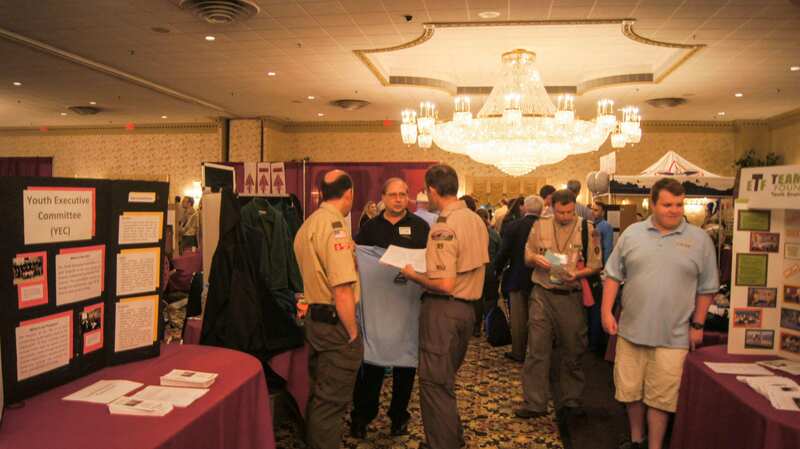 The 2019 Tradeshow of Scouting will be held on Monday, June 3, 2019 at The Birchwood Manor, 111 North Jefferson Road in Whippany, New Jersey from 5:45 – 9:00 pm. 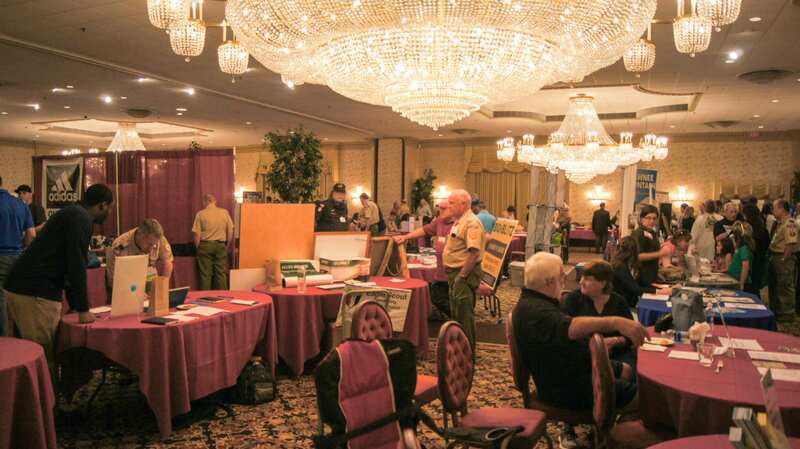 Vendors host tables offering programs, service projects, fun times, education programs and events that can be an integral part of your unit’s calendar. Visit these tables and pick up information and get your questions answered. As this year’s vendors sign up, they will be listed under the 2019 tab. 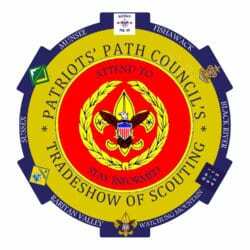 Many events are run by volunteer committees in Patriots’ Path Council. From the Alumni committee to the Youth Executive committee, table abound in the ballroom area with information and ideas to make your 2019-2020 Scouting year GREAT! Stop by and see what’s in store for your group. This years’ attending groups are listed under the PPC Groups Exhibiting tab. Stop by and greet your volunteer district leaders that plan many district events (klondikes, cub camping, troop camping, etc.). Towns in Patriots’ Path Council are part of a geographical district. If you don’t know which district you are in, ask at the registration/welcome desk on your way in and they will let you know. Door Prizes: Some vendors and committees donate door prizes. They will have buckets on their table for you to put your tickets in. There are two drawings held and you must be present to win. Everyone that attends will receive some door prize tickets. More details on ways to earn more tickets are coming but preregistering and bringing someone that has not attended before are ways to earn more tickets! Of course, there will be a door prize tab as the prize start coming in. Door prizes are on display in the West Lounge. There will be two drawings: 7:30 pm and 8:30 pm. You must be present to win – Prizes not picked up by 9:00 pm are forfeit! You must be present to win – Prizes not picked up by 9:00 pm are forfeit! Door prizes are subject to change. Door prizes are a fun feature of the Tradeshow. Please note, you must pick up your prize that night by 9pm or it is forfeited. When you pick up your registration packet, door prizes are included – see the tab, How to Earn Door Prizes, for things to do to increase the number of door prize tickets that you receive (info available soon). As you visit tables in the ballroom, door prize donors will have a bag on their table for door prize tickets. 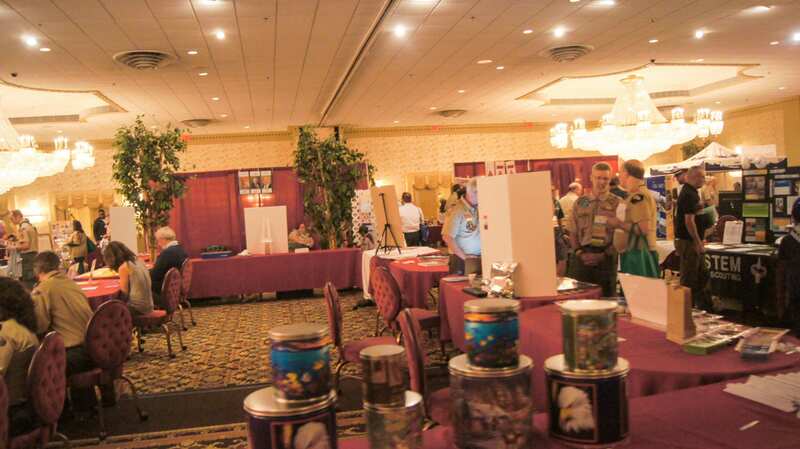 The actual door prize will be on display during the Tradeshow in a separate room. A list of door prizes and the assigned table number will be available at the registration table and on the Patriots’ Path Council app. You can download the app from your app store searching with Patriots’ Path. The table numbers are assigned in late May, so this information will not be available prior to the event. Door prizes are on display during the Tradeshow. The tickets must be in the buckets by 7pm for the first drawing and 8pm for the second drawing. At 7:30 and 8:30 the winners will be displayed on a screen in the Lobby by registration. If you are a winner, ask for a claim ticket from the Door Prize committee in the Lobby. Then proceed to the Gilwell Park door prize room with your ticket to claim your prize before 9pm. During pick up time, the Gilwell Park room will be closed except to door prize winners. You must be present to win – Prizes not picked up by 9:00 pm are forfeit! Door prizes will be listed here as they are donated. In late May each door prizes will be assigned either the 7 or 8pm drawing time. * – Look for ad in event program. ** – Look for fliers on our info table. D – Door prize at this table. 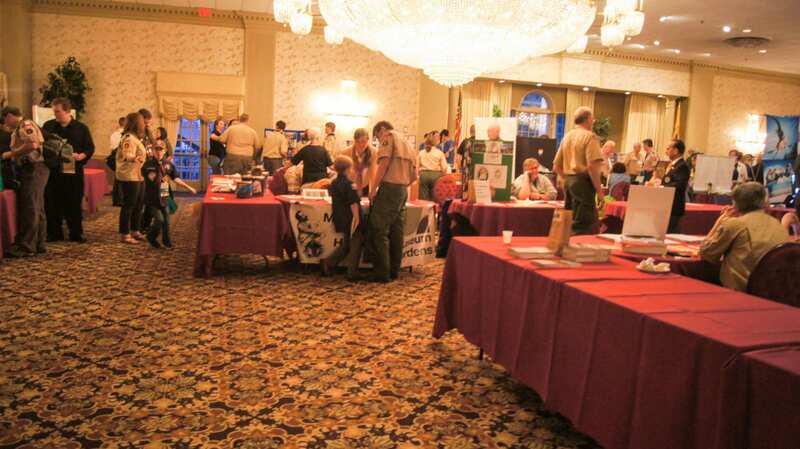 The Boy Scouts of America invites you to participate in the 2019 Tradeshow of Scouting and Cub Scout Expo on Monday, June 3, 2019 to be held at The Birchwood Manor on North Jefferson Road in Whippany, New Jersey from 5:45 p.m. – 9:00 p.m. 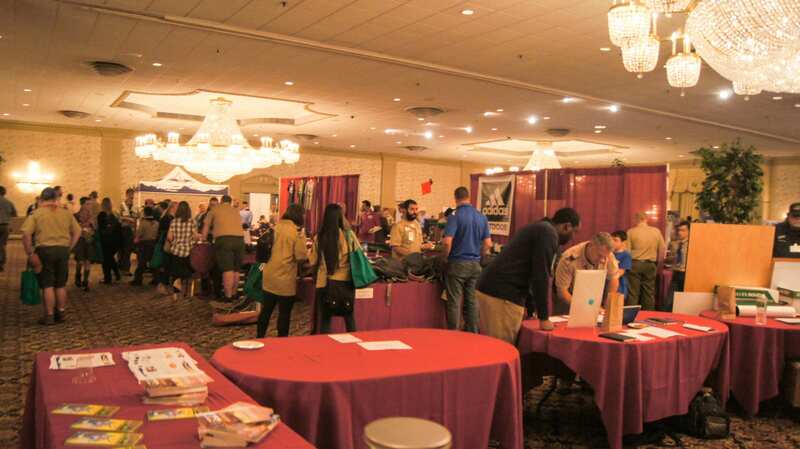 The annual Tradeshow of Scouting brings together hundreds of volunteer decision makers that represent more than 16,000 youth in Morris, Sussex, Somerset, Union, and Middlesex Counties. 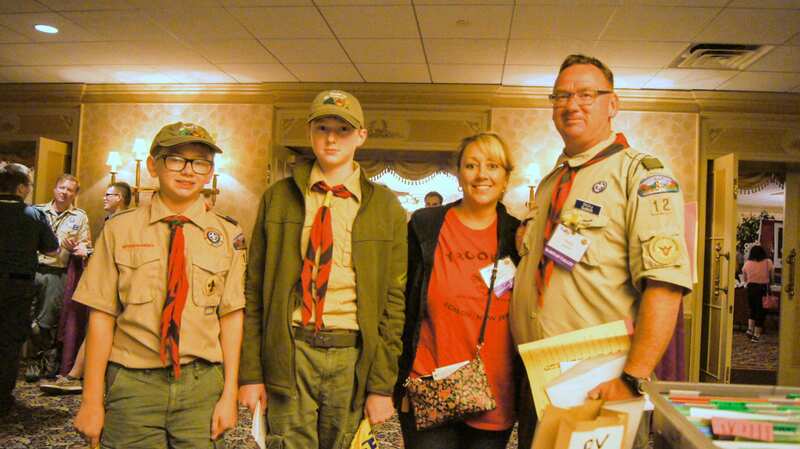 The Cub Scout Expo is a ballroom dedicated solely to Cub Scout parents and Den Leaders. 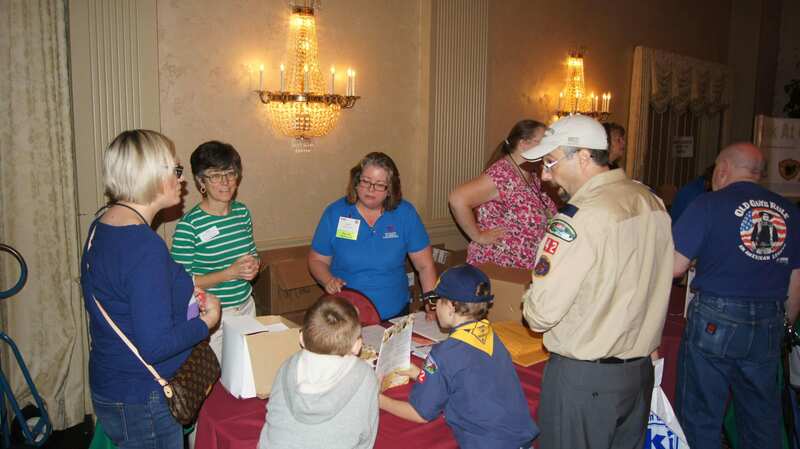 Consider becoming a vendor and experience an opportunity to speak with volunteer leadership from over 400 Cub Scout packs, Boy Scout troops, Venturing crews and Exploring posts combined. You can also choose to advertise with us in other ways. Vendor tables will be reserved on a first-come first-served basis. All vendors are also invited to submit one or more door prizes for the evening. Having small giveaways at your table and an entry for a drawing for a prize (you provide) will draw people to your table and allow you to speak to leaders and parents while gathering information for future use. These great opportunities for advertising will provide your company with high visibility at a very reasonable price. Early Bird Registration – Completed by April 15th – will receive 2 complimentary meal tickets. Only order additional tickets over the 2 if you need more. Registration ends May 10th so that you can be included in our Tradeshow booklet. Retail sales are not permitted onsite. However, orders and reservations may be taken. Please note that Scouts cannot participate in some activities. Click for more information about safety in Boy Scouts. Registration ends April 30th so that you can be included in our Tradeshow booklet. 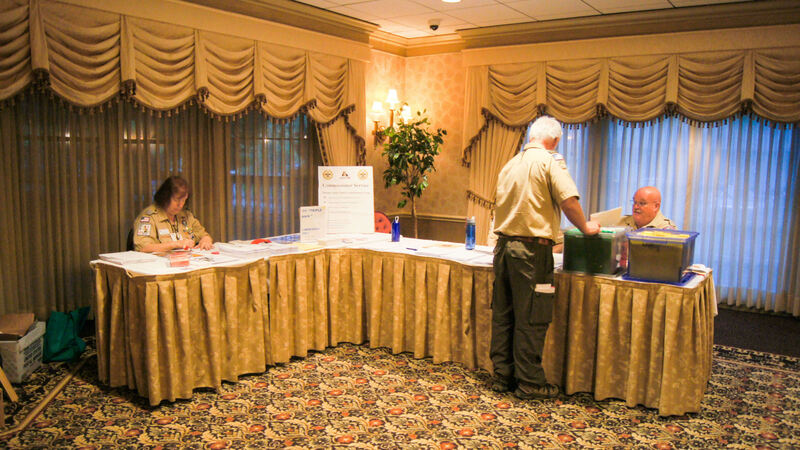 The Boy Scouts of America invites you to participate in the 2018 Tradeshow of Scouting and Cub Scout Expo on Monday, June 4, 2018 to be held at The Birchwood Manor on North Jefferson Road in Whippany, New Jersey from 5:45 p.m. – 9:00 p.m. 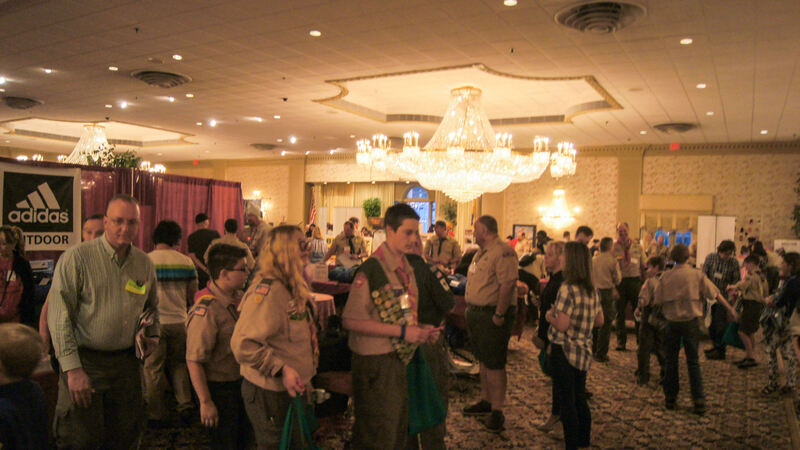 The annual Tradeshow of Scouting brings together hundreds of volunteer decision makers that represent more than 16,000 youth in Morris, Sussex, Somerset, Union, and Middlesex Counties. 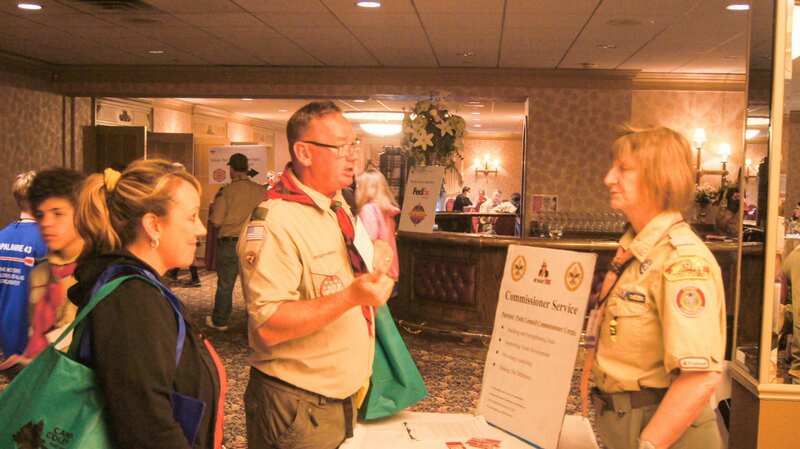 The Cub Scout Expo is a ballroom dedicated solely to Cub Scout parents and Den Leaders. 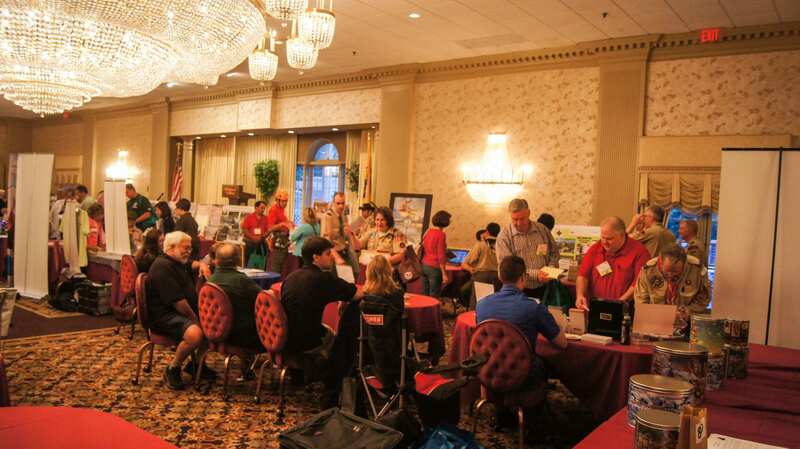 Vendor Registration Link – Sign your committee up today! Registration closes March 15th.